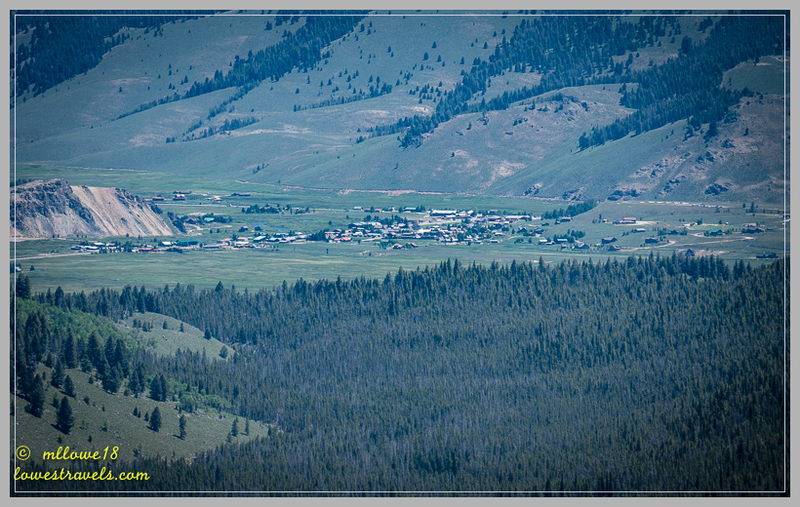 At the base of the Sawtooth Mountains lies the tiny town of Stanley, home to less than 100 permanent residents. 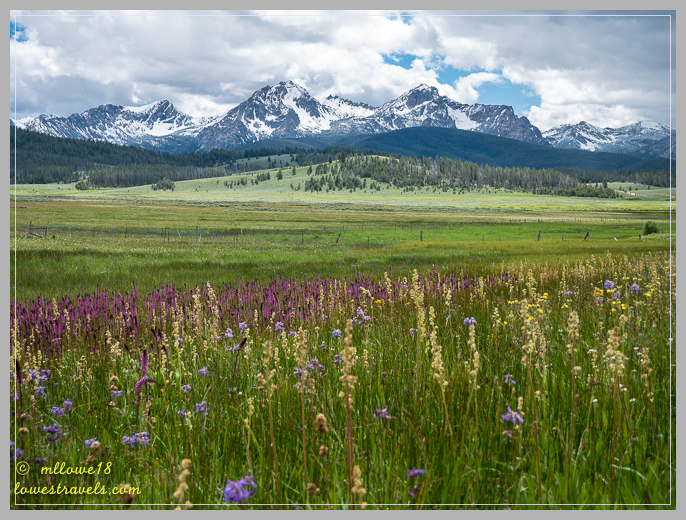 It’s also at the intersection of three very picturesque scenic byway routes: Ponderosa Pine Highway (Hwy 21 from Boise), Salmon River Highway (75N and 93 from Montana) and Sawtooth Highway (75S from Shoshone). 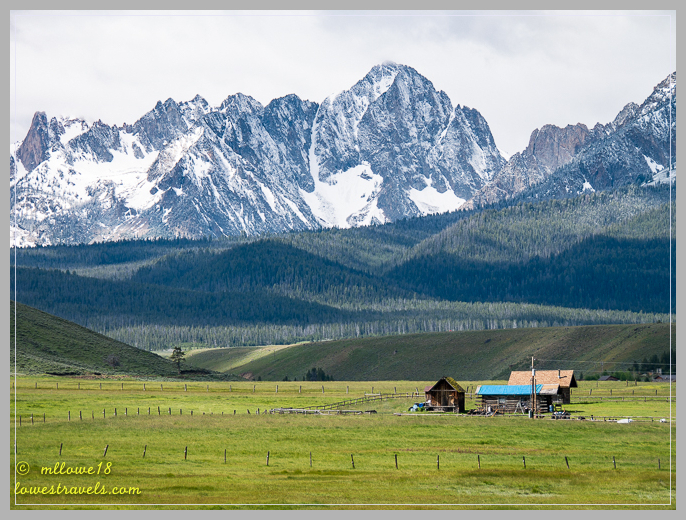 Approaching the town from either direction, a jaw-dropping view of those jagged Sawtooth Mountains unfolds before you, the gorgeous landscape that is the wilderness area of Sawtooth National Forest. 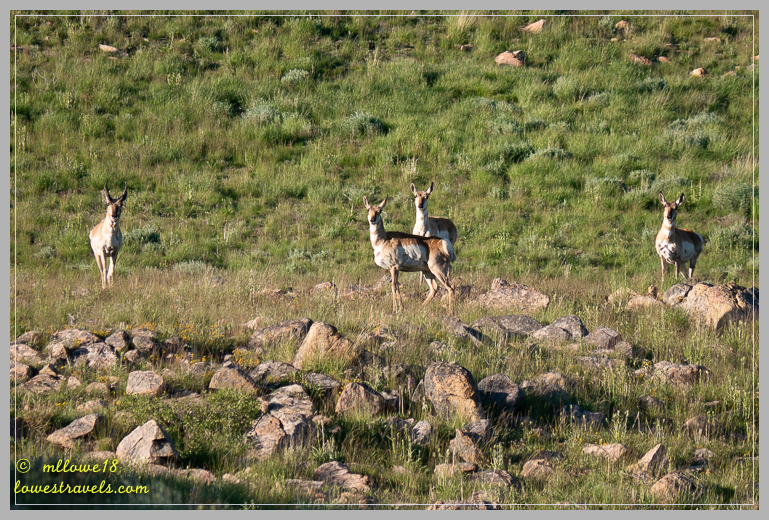 The visitor center host told us she’s one of the hardy souls living here year round. Even if it is one of the coldest places in the U.S. outside of Alaska, she believes Stanley is the greatest place to live in Idaho. 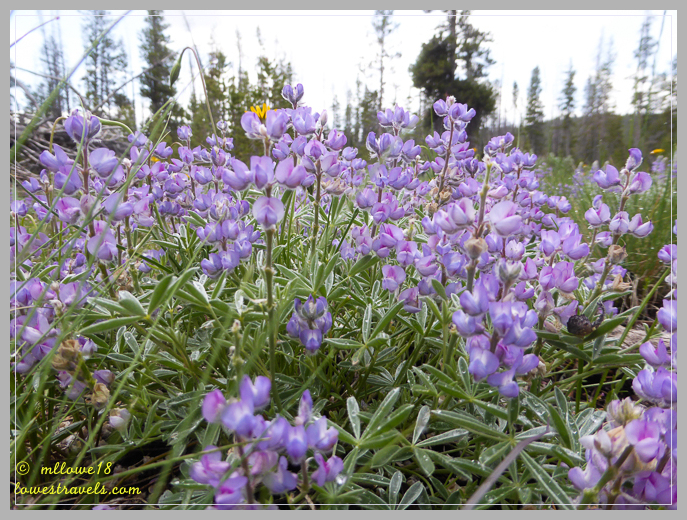 It’s hard to argue after seeing the area, but no way could I tolerate the mind-blowing winters here! 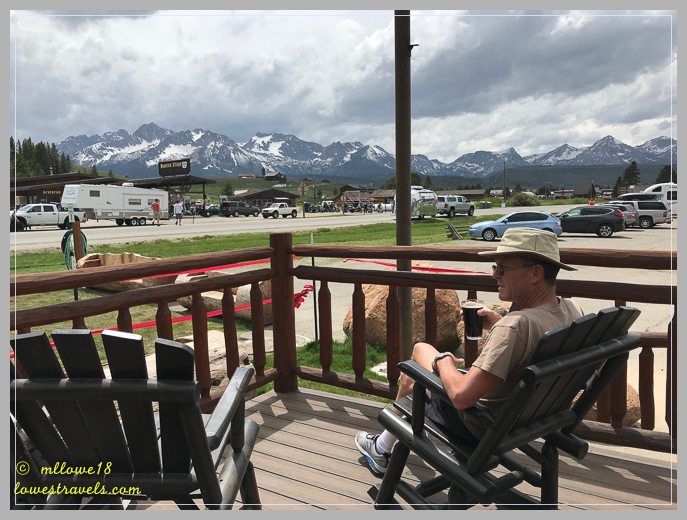 Conversely, the mild summers host a tourist season that peaks in July, and our June 6-13 visit enabled us to miss the big crowds while enduring reasonable weather swings. Chilling at Mountain Village, but no jacket required on this day! 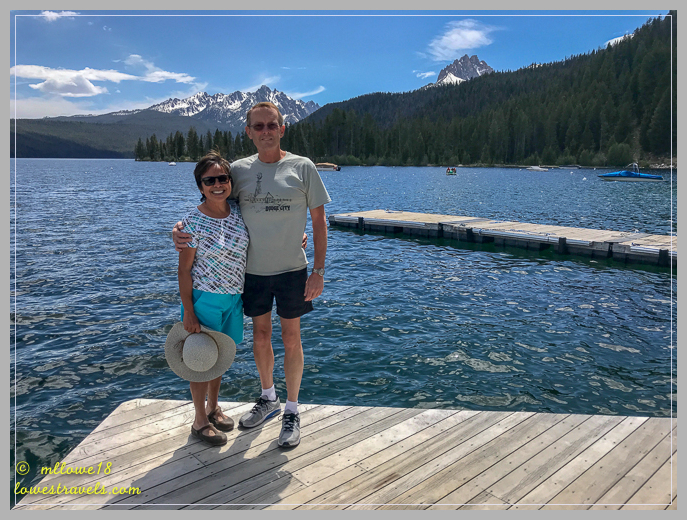 Our first 3 nights were spent dry camping at beautiful Sockeye Campground on Redfish Lake, where sites are first-come, first-serve. 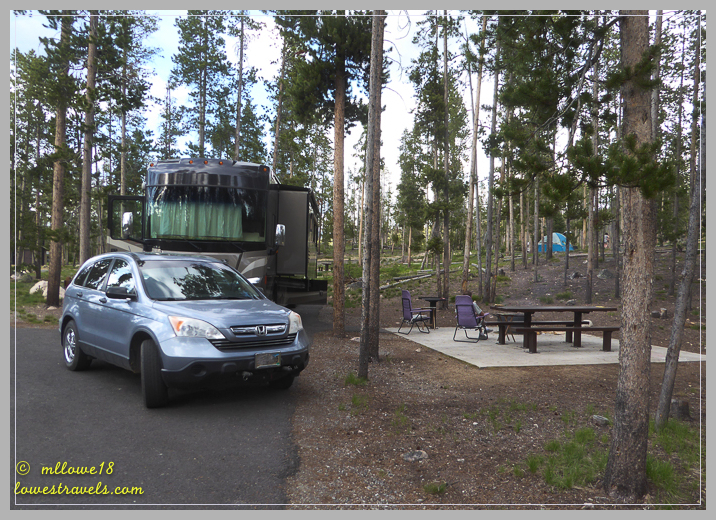 The campground is situated in a lodgepole pine forest, where it was very quiet when generators weren’t running – including ours. We hated interrupting the serenity by using it for hours every day, but with a residential refrigerator and no solar panels we didn’t have a choice. Most of you know we always hike early in the morning, but the need to recharge our batteries got us off to late starts here. 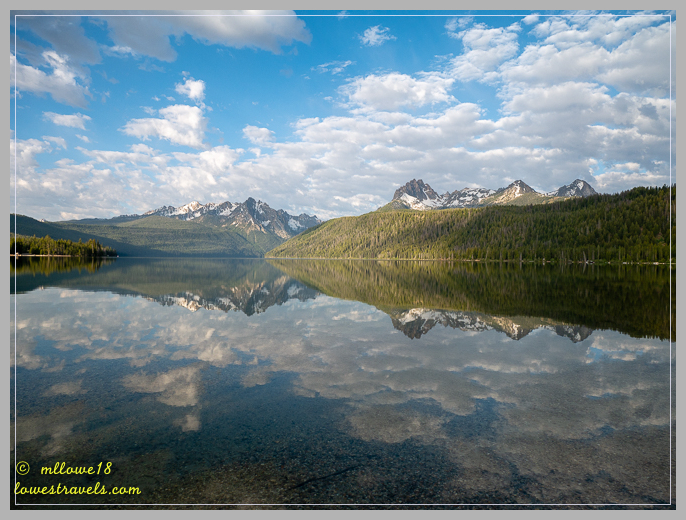 While Steve handled the recharging, I was in full photographic bliss at Redfish Lake as the sun rose. 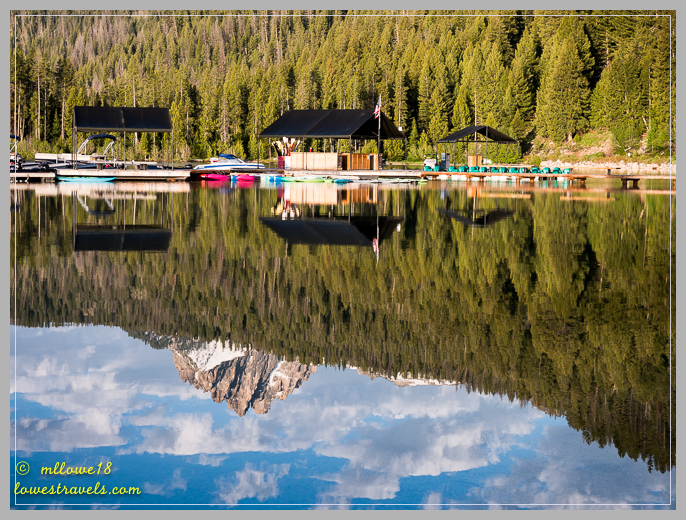 I wish all mornings could be like this – calm, tranquil and so beautiful! 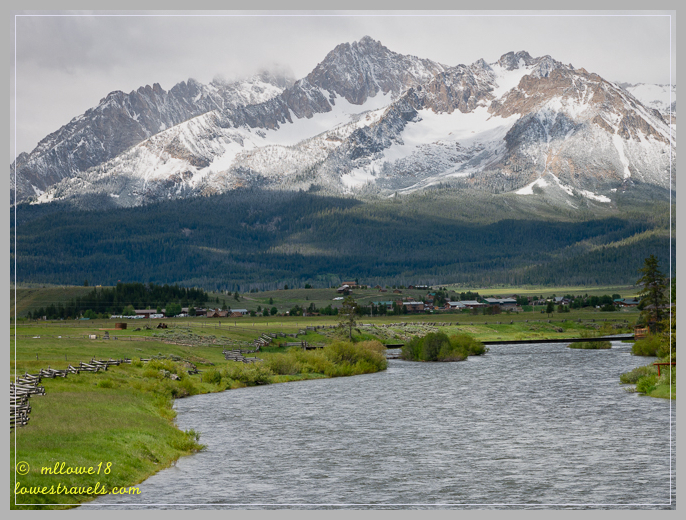 Catching the alpenglow of the Sawtooth Mountains, thanks to Nina of WheelingIt for the tip on where to get the best shots! 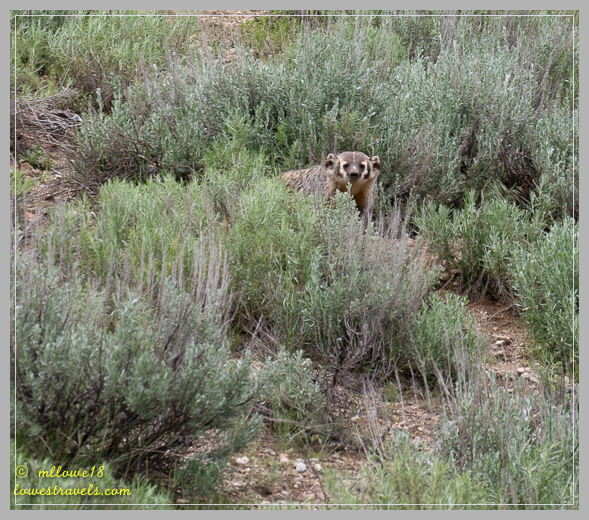 Several trailheads were within walking distance of our site, making the hikes super convenient. 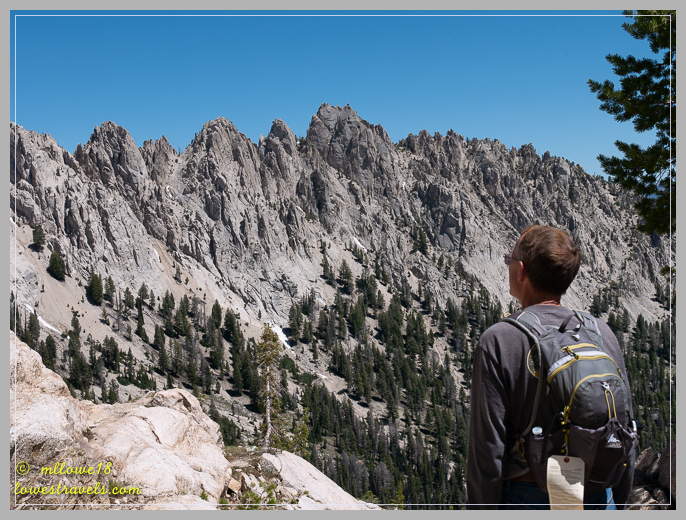 First we tackled Redfish Ridge Trail, a beautiful but steep trek along a moraine crest through Douglas Fir forests. 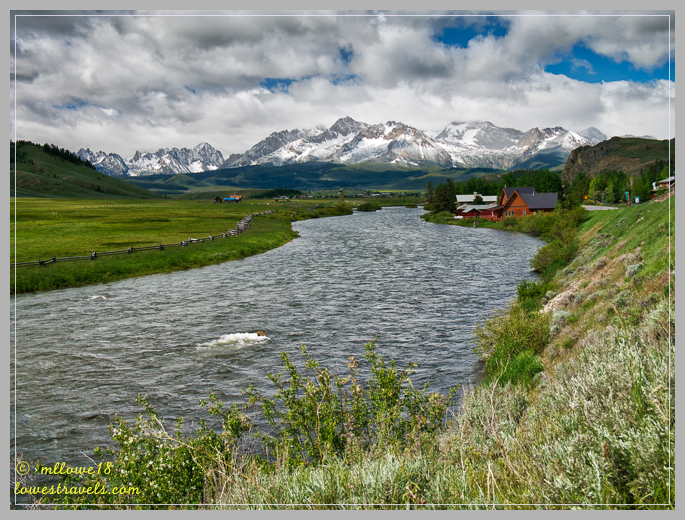 It offered awesome views of Thompson Peak, White Clouds and Grand Mogul massifs. We weren’t equipped to complete the entire loop around the lake, so we turned back after 4 miles to make it an 8-mile roundtrip. We were seeing some serious green on this trail! 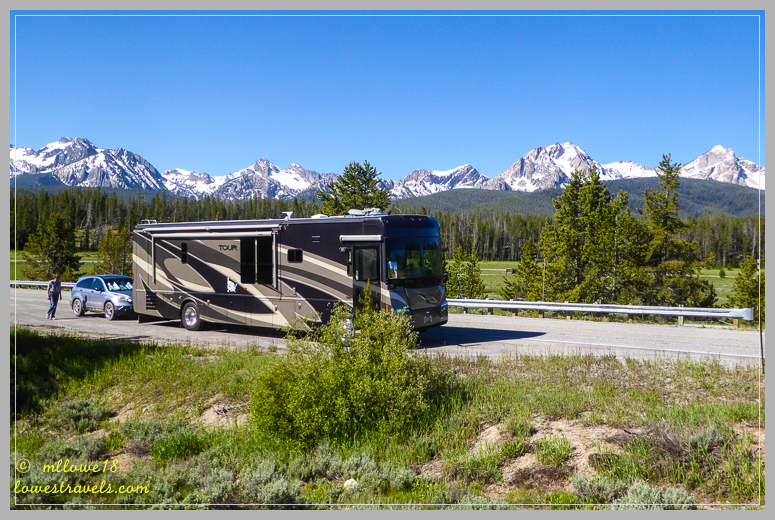 From our gorgeous and spacious site at Sockeye Campground to this! 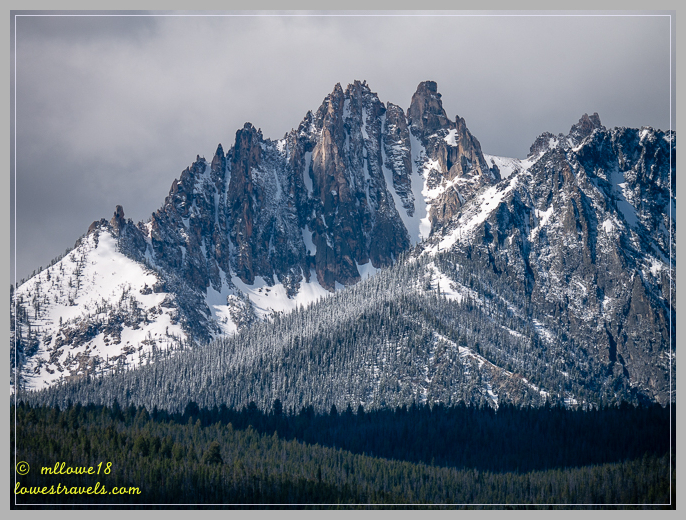 Stanley’s proximity to Sawtooth National Forest makes it a recreational paradise in central Idaho, and with over 2,000 miles of trails to choose from we were in hiking heaven. 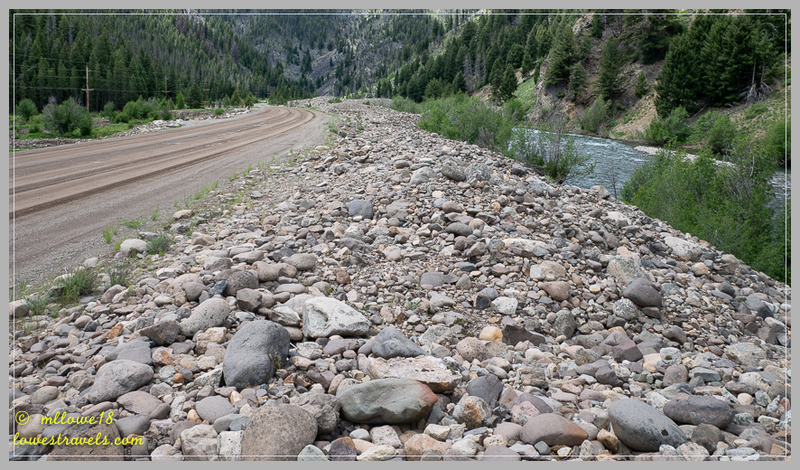 It also sits on the banks of the Salmon River, and Steve mentioned that a rafting trip might be in order. 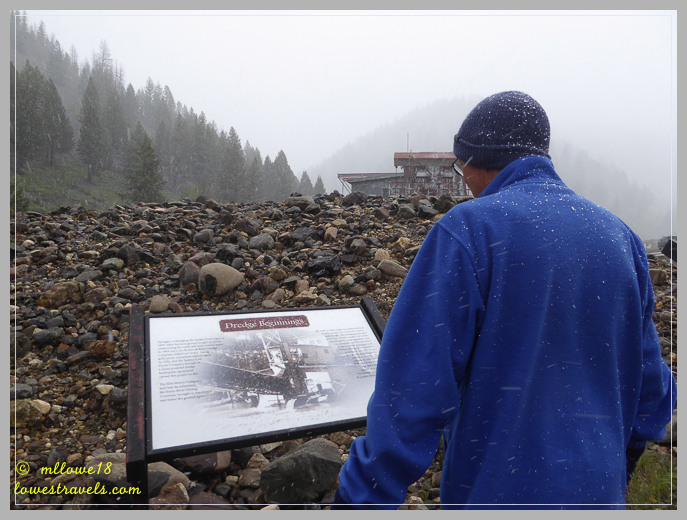 But the cold mornings and frigid river curbed our enthusiasm, and instead we strapped our hiking boot back on to explore 2 more trails – Bridal Veil Falls and Iron Creek. Bridal Veil Falls will remain a fantasy for us! 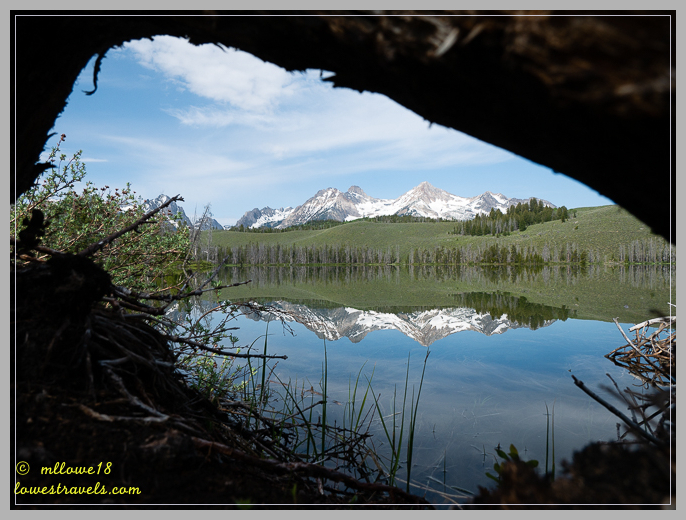 We just had to hike the moderate but long Iron Creek Trail, which lead us to 2 glacial lakes – partially frozen Sawtooth Lake, and Alpine Lake which had already thawed. 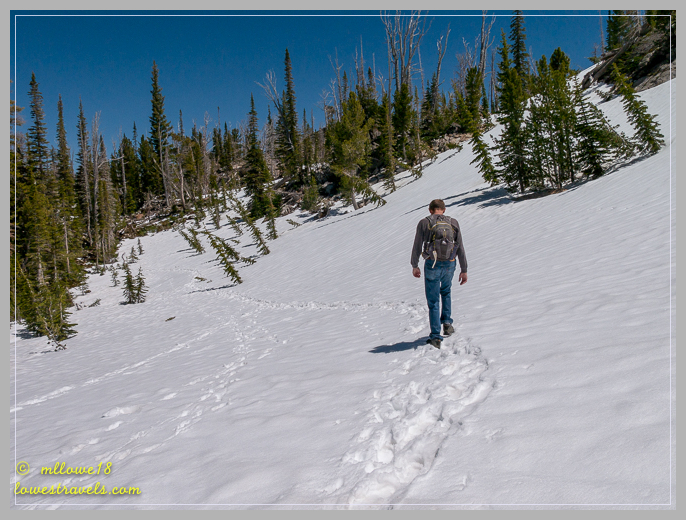 We climbed over 1,760′ in 5 miles up to Sawtooth Lake at 8,435′ and played in the snow as we enjoyed our lunch. The beautiful views there and the overlook of Alpine Lake on our return trip made the 10 miles of huffing and puffing worth it! 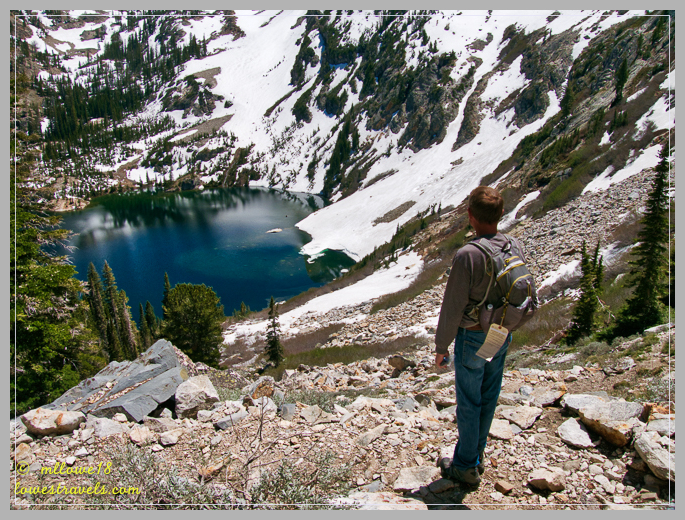 Looking down at thawed out Alpine Lake – it brought back memories of Alaska! 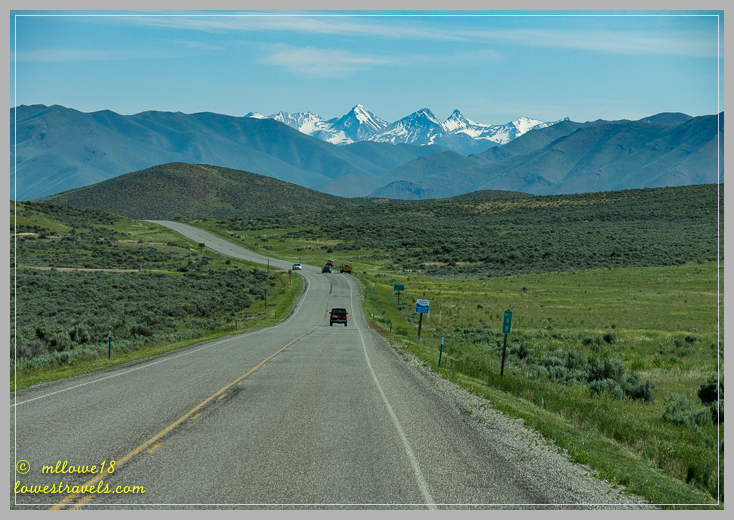 On another day we drove to the Yankee Fork Historic Area off the Salmon Scenic Byway. 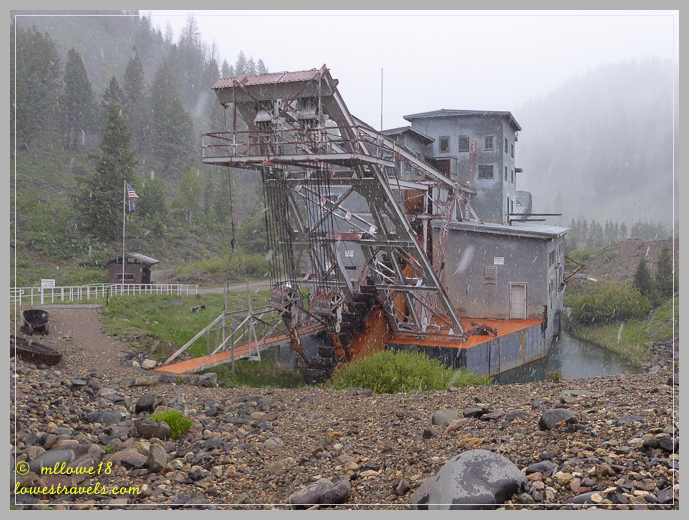 It’s an area that was established in 1990 to preserve and interpret the rich mining heritage of Central Idaho. 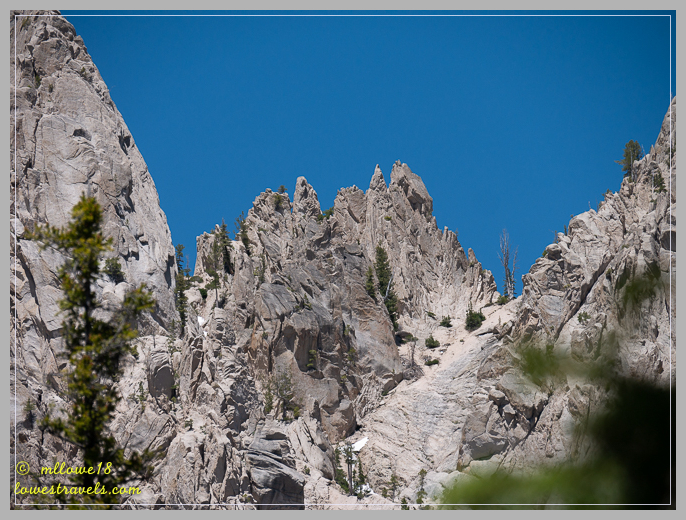 An informational plaque taught us that these peaks were once molten rock under the earth’s surface. Through slow cooling they became granite, and tremendous forces later thrust the rock through earth’s surface. 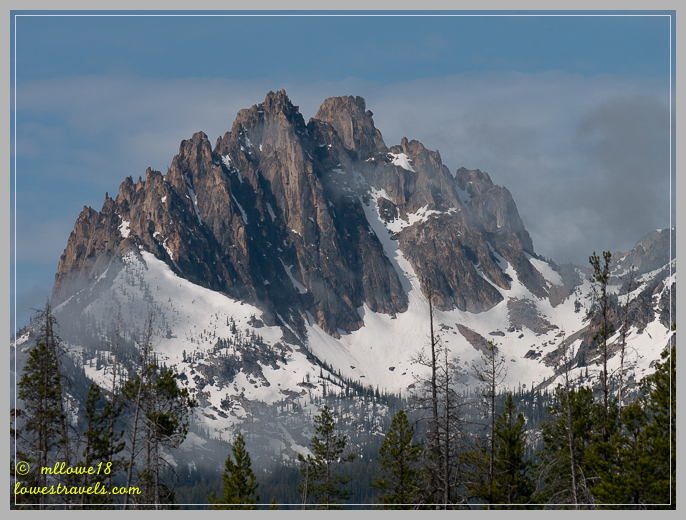 Erosion and glaciers exposed and shaped what we see today, jagged peaks that inspired the name Sawtooth Mountains. Our wonderful week in Stanley had come to an end far too quickly. The weather while we were here was a mixture of warm and cold, sun and clouds, light snow and rain. But it didn’t hamper our activities; we had fun scheduling outings around the next day’s conditions. As is usual in our lifestyle, upcoming reservations and the need to replenish supplies urged us to move on. 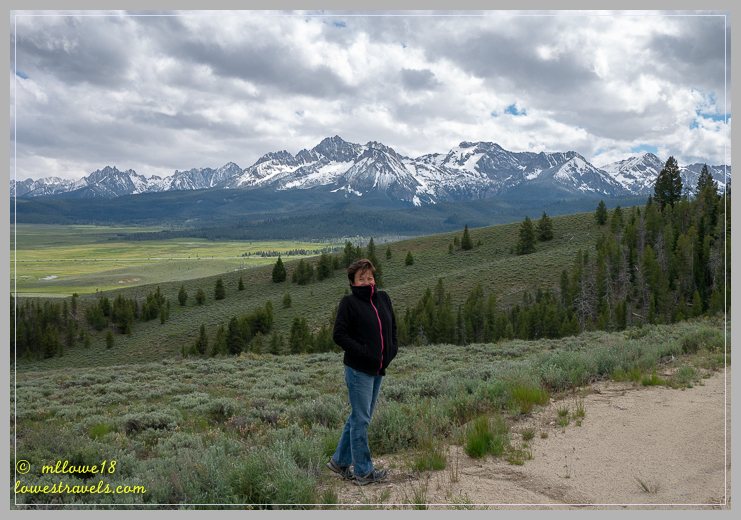 Leaving the area, we posed Betsy in front of the incredible mountains as we took a few last breaths of the amazing mountain air. We agreed that we’ll always have special memories of this magnificent place. If you haven’t done it yet, try to make Stanley a summer destination – you won’t regret it!